It’d be hard to find a more specific comedy show on TV than Documentary Now!—Fred Armisen and Bill Hader’s lovingly crafted (and totally demented) satire of nonfiction filmmaking, which returns for a second season this Tuesday, September 14 on IFC. Really, it’s a testament to the modern media landscape’s ability to narrowcast in the extreme that such an idiosyncratic and niche-y television program is even able to exist, let alone become the critical favorite that Documentary Now! has. As much a pure love letter to cinema as any syrup-y Oscars montage, each episode of Now! finds Hader and Armisen (who co-created the series along with fellow SNL vet Seth Meyers and director Rhys Thomas) donning a variety of grotesque guises to parody a specific classic of nonfiction filmmaking. To fully appreciate Now! requires a familiarity not only with the pitch and rhythm of contemporary comedy, but also at least some in-depth knowledge about the canon of great documentary films and filmmakers. Talk about a Venn diagram! In Season One, Now spoofed works from filmmakers as diverse as Errol Morris, Robert J. Flaherty and the Maysles Brothers, and in Season Two fans of the show can expect additional skewerings of The War Room, Jiro Dreams of Sushi, The Kid Stays in the Picture and more. So you’ve been warned—time to brush up on those Criterion DVDs. To prep for Season Two, we decided to take a look back at the Emmy-nominated Documentary Now! Season One. After all, who better qualified to deconstruct this odd IFC show about independent movies starring Fred Armisen than the folks who put Fred Armisen on stage at the Film Independent Spirit Awards to talk about independent movies—us! Starting with its very first episode, Documentary Now! 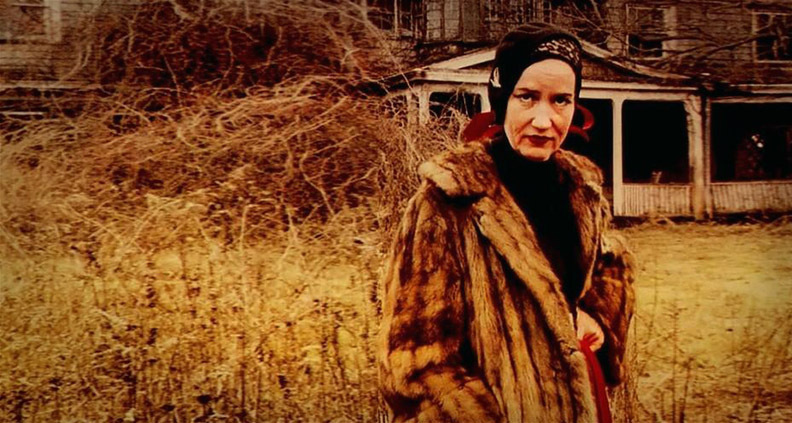 announced its indie film bona fides with a painstakingly detail-oriented homage to David and Albert Maysles iconic 1975 hoarder masterpiece, Grey Gardens. The Maysles’ original film was a simultaneously hilarious and upsetting portrait of “Big” and “Little” Edie Beal, a mother-daughter duo who at one time rolled deep with the bluest of East Coast bloods, but who by 1975 had been reduced to a pair of reclusive semi-derelicts haunting a decaying Hamptons mansion, convinced that a high society comeback was lying just around the corner. Hader and Armisen’s Sandy Passage avatars capture the Beals’ manic charisma, but then takes the deranged dynamic down some decidedly strange avenues straight out of The Blair Witch Project. You’ll never look at a headscarf the same way again. Culminating with 1998’s The Thin Blue Line, the early films of New York filmmaker Errol Morris completely reinvented how people perceived the documentary form, injecting nonfiction filmmaking with heretofore unheard-of levels of wit, quirk and arch characterization. 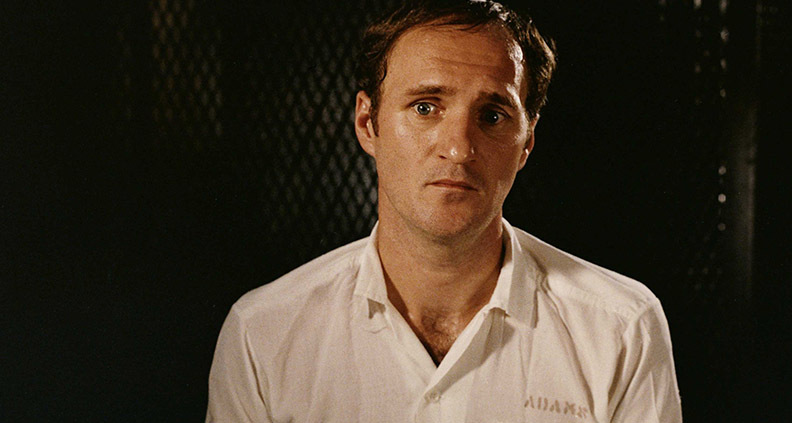 Presaging today’s mania for sordid tales of true crime injustice, The Thin Blue Line was Morris’s compulsively watchable reconstruction of the 1976 murder of a Dallas police officer. Morris’s film helped get the wrongly-convicted Randall Dale Adams out of prison, but Documentary Now!’s pitch-perfect The Eye Doesn’t Lie posits a scenario where Armisen’s hapless, jazz-loving dope gets railroaded by his own odious personality as much as any systemic injustice. 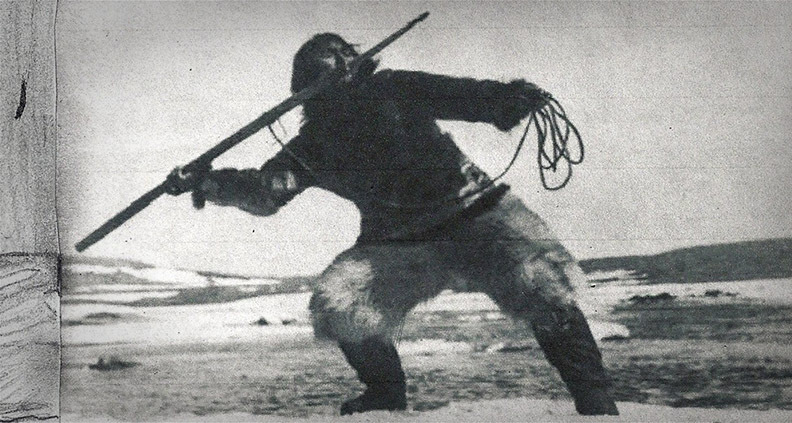 Definitely the most convoluted premise (which is saying something) in all of Documentary Now!’s Season One, the show’s second episode, Kunuck Uncovered, isn’t—despite all appearances—a parody of Robert Flaherty’s seminal 1922 silent Eskimo travelogue Nanook of the North. Rather, it’s a satire of the 1990 PBS making-of retrospective Nanook Revisted. This ingenious nesting-doll structure affords Hader and Armisen the opportunity to lampoon not just the clunky dawn-of-cinema artificiality of Nanook itself, but also the embittered and befuddled showbiz recollections of Hader’s aged cameraman, reflecting on the fictional film’s creation from his pastel-colored early-‘90s vantage point. The episode is also a surprisingly comprehensive primer on basic filmmaking itself—so much so that it should probably be shown in film school. 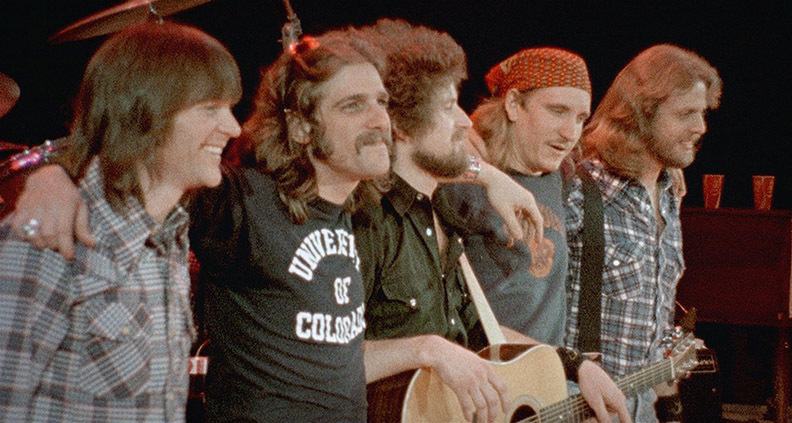 For Documentary Now!’s two-part first season finale, Hader, Armisen and Co. trained their satirical sites on director Alison Ellwood’s Alex Gibney-produced career-spanning retrospective of 1970s LA soft-rock titans The Eagles, embodying the members of (fictional) classic rock survivors “The Blue Jeans Committee” to tell a surprisingly touching story about friendship lost and found through the ups and downs of a career in showbiz. In many ways, the Eagles’ Don Henley and Glenn Fry have nothing on Hader and Armisen’s estranged classic rock archetypes. It’s easy to imagine that the actors’ own close friendship and collaboration informs their characters’ on-screen dynamic, and the result is a perfect little jewel box of narrative that transcends both parody and comedy to become something truly effecting. A Town, a Gangster, a Festival / ??? 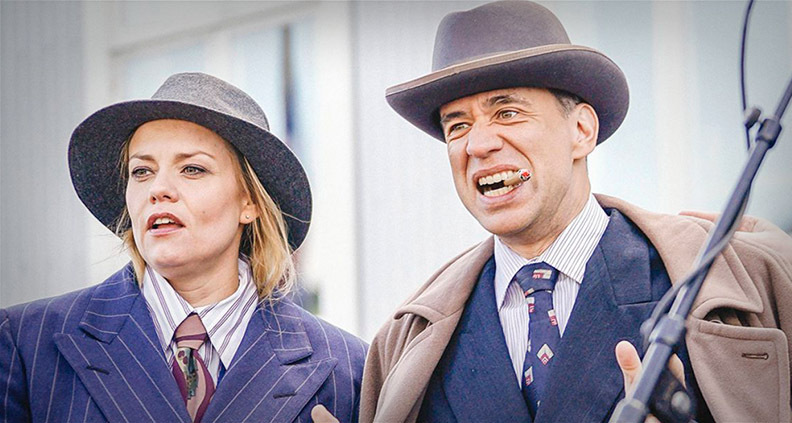 The one outlier in Now!’s initial run of episodes came in Episode Five, entitled A Town, a Gangster, a Festival—shot on location in Iceland with an almost entirely Icelandic cast, about a small village’s incomprehensible-yet-all-consuming obsession with Al Capone. The extremely gentle and idiosyncratic story—which follows various townspeople in the enthusiastic run-up to the village’s annual “Al Capone Festival”—has no clear precedent in any pre-existing documentary film, working almost as its own stand-alone mockumentary in the vein of Christopher Guest. It’s possible that the episode is a commentary on the broader subgenre of quirky, general-interest documentaries, but it’s not altogether clear exactly what the show is going for here. Maybe the show’s creators just wanted to spend a couple vacationing in Iceland—which hey, can you blame them?